Interiority, in relation to my practice, is the inherent curiosity to the notions of process, time and duration. It is a practice of mark making, marking time, making time, and time making; foregrounding duration and marking an occurrence. My technique is one of working responsively to interiors, allowing particular temporal conditions to surface within specific sites and situations. The marks – whether they be on a canvas, a house, a building, or within a gallery – materialise immateriality and allow the residue of particular processes to be assembled as collections of materialised and spatialised time. This paper discusses an artist residency undertaken in Detroit, USA 2017. Informed by existing watermarks, stains and rust encountered within abandoned spaces in Detroit, I initially responded by using found materials such as charcoal and ash from burnt houses, plant materials and liquids, to assemble process-based compositions on canvas. Further temporal interventions were then assembled in a number of situations within Detroit. 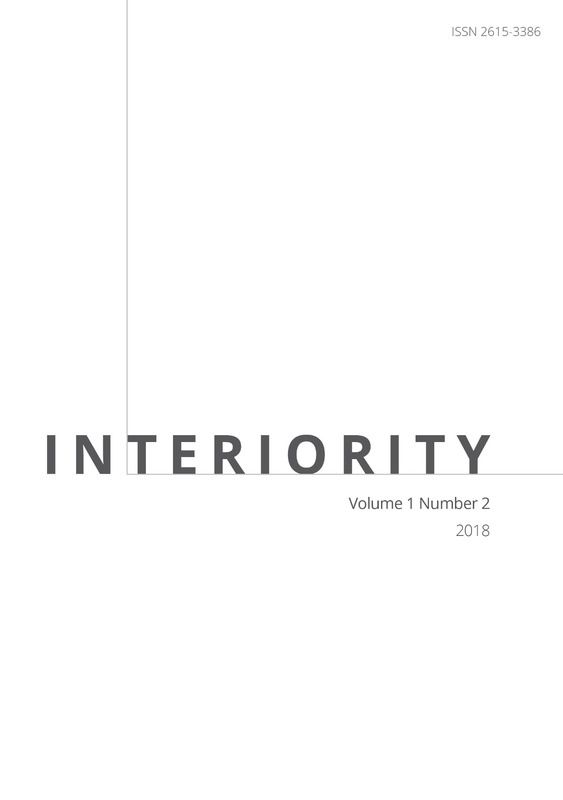 This paper, and practice, notions that interiority is a field of interiors where the indeterminate is celebrated through the force of duration; immersion in time as flow. The temporal, material and immaterial are considered as a dynamic and confluence of forces; assembled in time, materialising immateriality. James Carey is an artist and lecturer in the School of Architecture and Urban Design, RMIT University. He recently completed a PhD by Project at RMIT University, undertook an artist residency in Detroit, USA and has exhibited extensively in Melbourne and Sydney. James will be exhibiting as part of interruptions, Stockroom, Kyneton 2018, drawing strength, Barn Gallery Monsalvat 2018 and the Castlemaine State Festival 2019.